I had someone staying with me at my home and when they left they never did say thank you or goodbye. I realized this poor person is not a bad person, but does not have the attitude of gratitude. 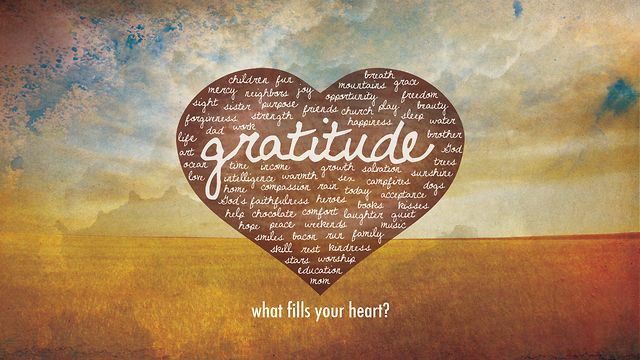 I am excited that this New Year I am taking on the attitude of gratitude. The goal for the New Year is to be with people who show gratitude in all they do. Being around people who are not thankful can take a toll on you. Further more, people who are not thankful have a difficult time in life with coping. They tend to think if one thing goes wrong everything will go wrong. They are often angry and avoid people places and things that offer gratitude. In fact, they avoid gratitude. 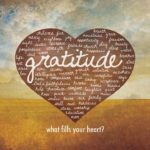 By adopting an attitude of gratitude you can actually gain more friends, open more doors, be healthier in the mind, the body and the spirit. Say thank you as much as you can and mean it. I always feel such thanks when people do something for me and I make sure I thank them, even if I am angry. I also thank the things around me such as the chickens for laying eggs for me, or the trees for providing shade for me. Saying thank you goes a long ways. Help others. Rather than just thinking about yourself and what is in it for you, stop long enough to help others and feel good about the help you offer. You begin feel grateful that you can help. Treat everyone with respect. Even if you do not agree with someone it does not mean you treat them with disrespect. Whether they are 15 or 90, a person should be treated with respect. Be positive. Stop complaining. It is hard to be powerful and pitiful at the same time. Complaining only creates negative energy and attracts that negative energy. Find the good. Always look for the good. Everything has two sides and when we seek the bad, then that is what we get, but when we look for the good, I can guarantee you will find good. Surround yourself with people that have positive energy, are filled with gratitude and make you feel good. So this New Year grow your attitude of gratitude be kind to you and others. For now this is Dr. Tyler Woods wishing you New Year filled with gratitude and as always walk in peace.